Taste the Difference in Our Expanded Kitchen! 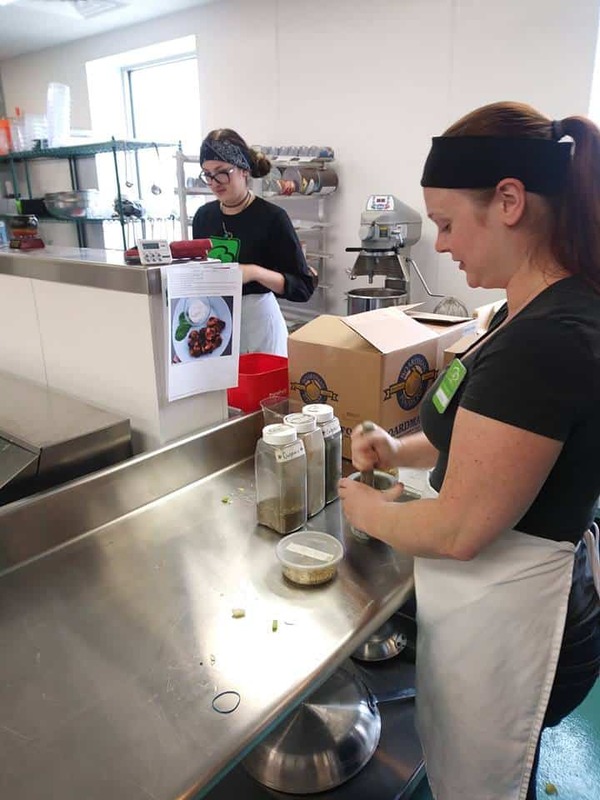 Bluff Country Co-op’s newly expanded kitchen, which has been opening in stages over the past month, now features a salad bar, a hot bar, soups, sandwiches, and Winona’s only juice bar. In addition, a “Fresh at Four” program is expected to launch next Monday. Keeping with the co-op’s values, all food will be made from scratch with high quality ingredients. In addition, vegan, vegetarian, and gluten-free options are always available. “I’m looking forward to continuing to develop our newly expanded menu to meet the needs and tastes of our customers,” said Leutgeb Munson. Customers can dine in or take their food to go. A newly remodeled seating area provides plenty of café-style space, while a Grab ‘n Go selection of prepackaged sandwiches, soups and salads serves those on the go. The Co-op’s new “Fresh at Four” program will provide freshly roasted whole chicken and freshly baked bread every day at 4pm. “We want to make it possible for busy families to sit down at the table together to share a meal,” said Leutgeb Munson.